Mark, who attended John Cabot Academy, was just 15 when he fought off skin cancer, caused by a genetic defect. The following 11 years Mark was healthy but a sudden stomach pain one morning led to the discovery of tumours in his liver, lung and spleen. 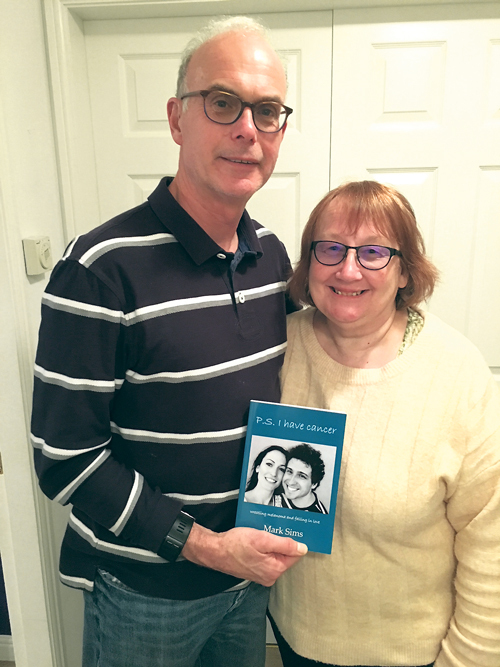 Sue said: "The aim of the book is to raise money for Cancer Research to add to Mark's fund he set up when he was ill but it's not just about that. Mark wanted to raise awareness of cancer generally and skin cancer in particular and also how you can still live a full life with cancer, as he managed to do." "I've been working with his words all year to correct grammar and to get the book perfect. I like working with his words; it brings him back. As well as being a story about Mark's illness, there's a lot of humour and hope in there. "Mark had a very positive outlook on life. He loved life and loved his job as a doctor which is why he managed to keep working for part of the time he was ill.
"He became a bit of a hero because of his blog but to many people who knew him he was already a hero because he was always so kind and wanted to help others."